Portable Winboard 4.5.3 + Houdini 1.5a! 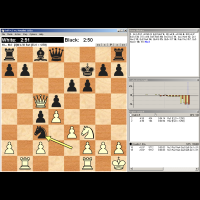 Chess2u » Computer Chess Software, GUIs » Free Chess Software » Portable Winboard 4.5.3 + Houdini 1.5a! Re: Portable Winboard 4.5.3 + Houdini 1.5a! its only 32 bit ........................ where is 64 bit ..........??????????? @sohel1214 wrote: its only 32 bit ........................ where is 64 bit ..........?????????? ?